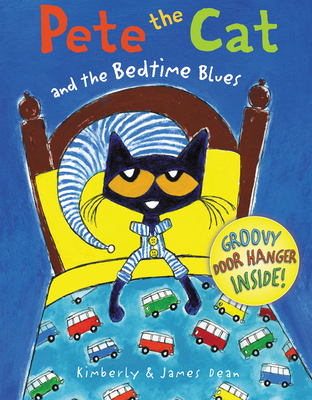 A funny bedtime story from the New York Times bestselling Pete the Cat series. In this hardcover picture book, Pete the Cat and his friends are having so much fun playing and surfing in the sun, they don't want the day to end. Pete has an idea—how about a sleepover? Groovy! As the night gets later, it's time for bed. This cool cat needs to catch some ZZZs, but Pete's friends aren't ready to go to sleep just yet. Then Pete has another idea...but will it work? James Dean’s art has sold in more than ninety galleries and shops across the United States. He has devoted his paintings to Pete the Cat for fifteen years and has turned his natural love for cats into his life’s work. James published his first adult book, The Misadventures of Pete the Cat, a history of his artwork, in 2006. He illustrated his first self-published children’s book, Pete the Cat: I Love My White Shoes, in 2008, and the follow-up book, Pete the Cat: Rocking in My School Shoes, in 2011. James lives in Savannah, Georgia, with his wife, four cats, and one dog. You can visit him online at www.petethecat.com. In 2004, Kimberly & James Dean sat down at their kitchen table to work on a children's book together. Their dream finally became a reality with the release of Pete the Cat and His Magic Sunglasses. Both left corporate jobs in the late nineties (James was an electrical engineer, Kimberly worked in the press office of the governor of Georgia) to pursue their passion for art, and they have experienced a life made up of strange and wonderful coincidences ever since. Pete the Cat has brought magic into their lives. They work in side-by-side studios in Savannah, sharing their home with five cats and Emma the pug. Fans of the groovy blue cat will enjoy the familiar melodic words and repetition. A solid addition.